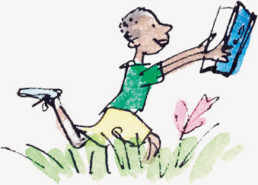 The Book Bus is a registered charity and was founded in 2008 by publisher Tom Maschler. One in six adults around the world come through childhood unable to read or write. Access to books and opportunities to read are the factors that make the difference, unlocking not only a world of pleasure but a wealth of opportunities. The Book Bus began work with schools in Zambia, delivering books and working with teachers and volunteers to help get more children reading. 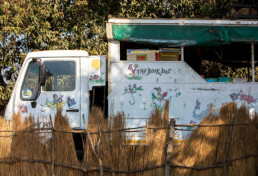 Over the last ten years, The Book Bus and its fleet of five buses has travelled 250,000 miles and opened further reading schemes in Malawi and Ecuador. With help from our supporters, volunteers and teachers, over 100,000 children now have books. Not only have they boosted their reading abilities, they share their love of learning and literacy skills with families and communities. We are committed to changing lives one book at a time but that is only made possible through your support. 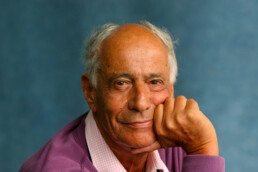 Tom Maschler was a publisher for over four decades, working with thirteen Nobel Prize winners, nurturing writers who are now household names and originating the idea for the Booker Prize. 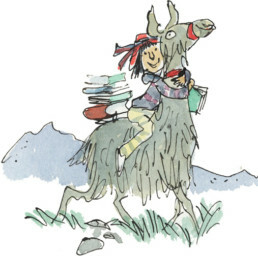 With a love and fascination for children’s books, Tom published Roald Dahl and paired him with Quentin Blake, whose illustrations contributed so much to the author’s books. 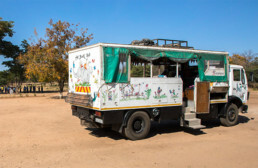 Tom’s inspiration to start the Book Bus came after a trip to Zambia where he saw that literacy was one of the key life skills that can take a child from poverty to prosperity. 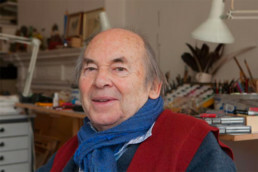 Sir Quentin Blake is one of Britain’s best loved children’s authors and illustrators. Quentin joined us first as a trustee in January 2009 and then as our Patron in 2014, we are incredibly proud to be working with him. A tireless supporter of The Book Bus, we are fortunate that Quentin also personally designs and illustrates the artwork that makes our buses look unique and which delight children in every community we work in. 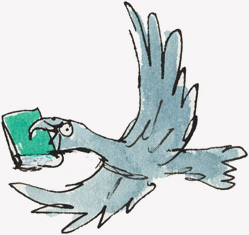 THE BOOK BUS FOUNDATION is a charity registered with the Charity Commission in England and Wales. Charity Number 1117357. 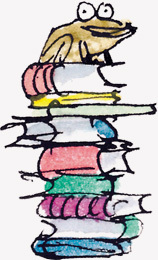 The Book Bus Foundation was first registered on 21 December 2006. The Foundation files annual reports and financial statements with the Register of Charities in accordance with their regulations.